Why Choose the Advanced Curriculum and Instruction Program? The Advanced Curriculum and Instruction Education Specialist Degree program is designed for educators who wish to expand their knowledge and skills in the areas of curriculum and instruction. The education arena of the 21st Century requires educational leaders who have the knowledge, skills, and dispositions to positively affect teaching and learning at all levels. This program both deepens teachers' understanding of curriculum and prepares them to lead others in curriculum development through state and national standards-based coursework and field activities. The program does not lead to an initial teaching license. Students who hold a current Ohio teaching license, have at least three years of classroom teaching experience, and pass the appropriate licensure exam, will qualify for the Administrative Specialist: Curriculum, Instruction, and Professional Development district level license upon completion of the program. NOTE: Test requirement is waived if the applicant's cumulative graduate GPA (from all schools attended) is 3.5 or higher. Admission is in Fall A & B terms, Spring A & B terms and Summer A & B terms. Apply at least six weeks prior to the term of enrollment. An education specialist degree is an advanced degree designed for school leaders who desire to gain knowledge beyond the master’s degree level. Described as being between a master’s and a doctorate, an Ed.S. 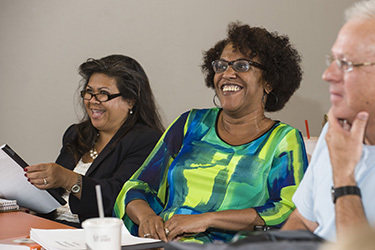 degree provides high-level, professional expertise for students hoping to take on top-level leadership roles, such as a school district superintendent or curriculum director. Though many Ed.S. degree programs require the completion of a scholarly thesis, the Ed.S. programs at Wright State University replace that requirement with both a professional portfolio and a practicum experience. Can I earn a license along with this degree program? Yes, those students who have a current teaching license, have at least three years experience as a classroom teacher, and pass the appropriate licensure exam will qualify for the Administrative Specialist: Curriculum, Instruction, & Professional Development license upon the successful completion of this program. Does WSU offer an Admin Specialist: CIPD licensure-only program? Wright State University does not currently offer a CIPD licensure-only program. The CIPD license program is embedded in the Advanced C&I Ed.S. program. Those seeking the CIPD license will be required to complete the full Ed.S. program. Do I have to have to be a teacher to qualify for this program? Non-teachers may qualify for the Advanced Curriculum & Instruction Ed.S. program. Upon completion of the program, non-teachers would receive the degree only. (A teaching license and classroom teaching experience are required to qualify for the CIPD license.) All applicants simply need to meet the minimum qualifications for the program to be admitted. However, all prospective students should note that the courses in the program focus on school district settings and issues. Students complete mandatory fieldwork activities requiring access to school settings, school personnel, and district-level administrators.